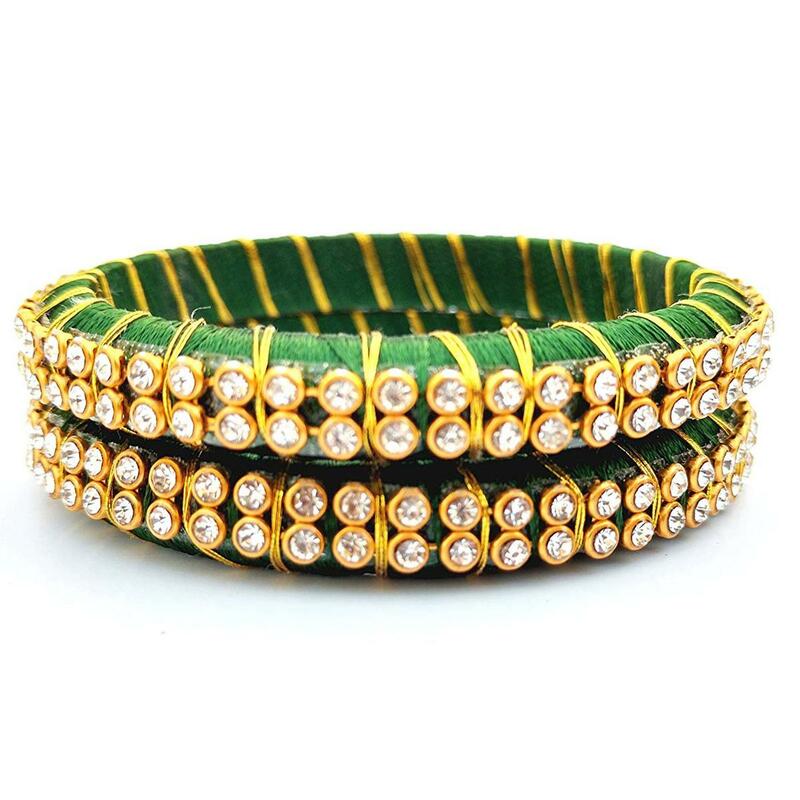 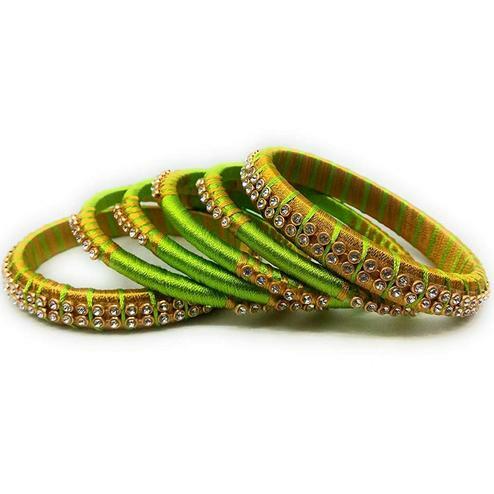 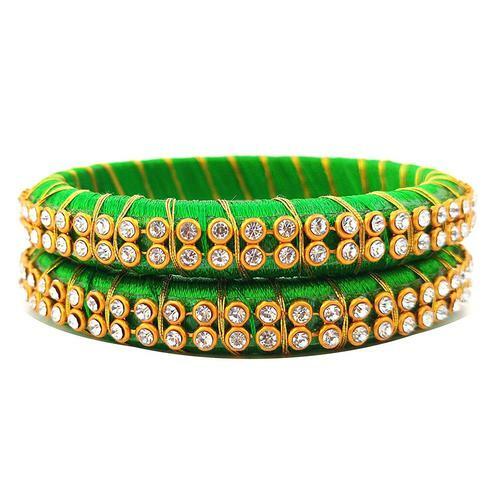 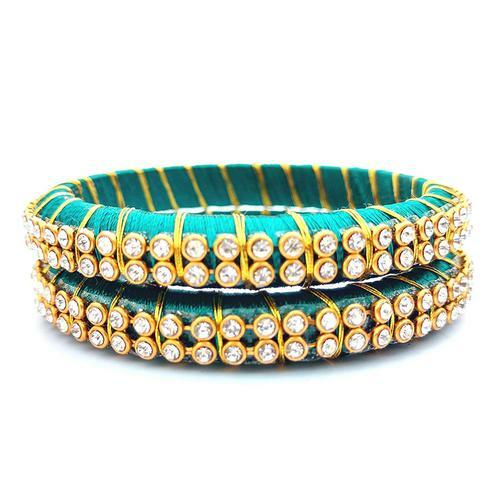 Give in to the exotic confluence of today and tomorrow in this lovely dark green colored bangles set. 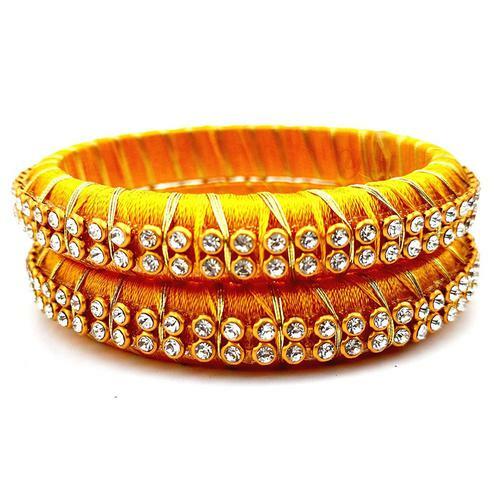 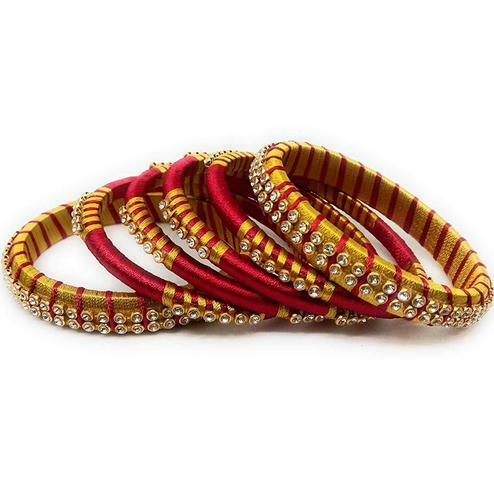 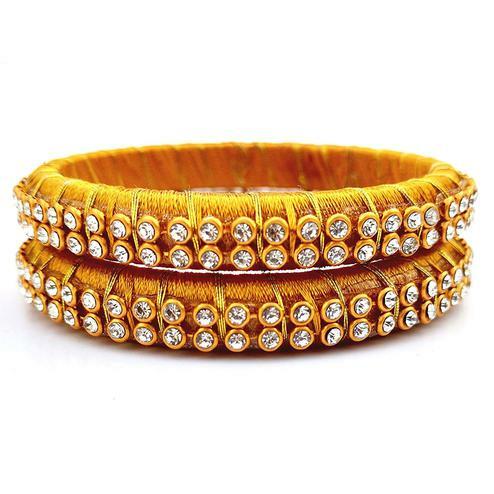 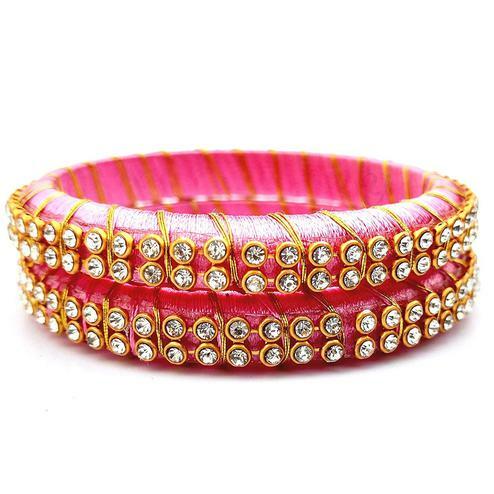 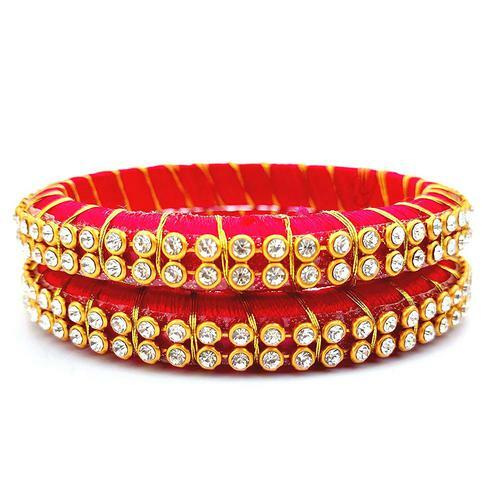 Grab this beautiful set of two bangles to simple pair up with your ethnic wear or you can also mix it with other plain bangles for more heavy look. 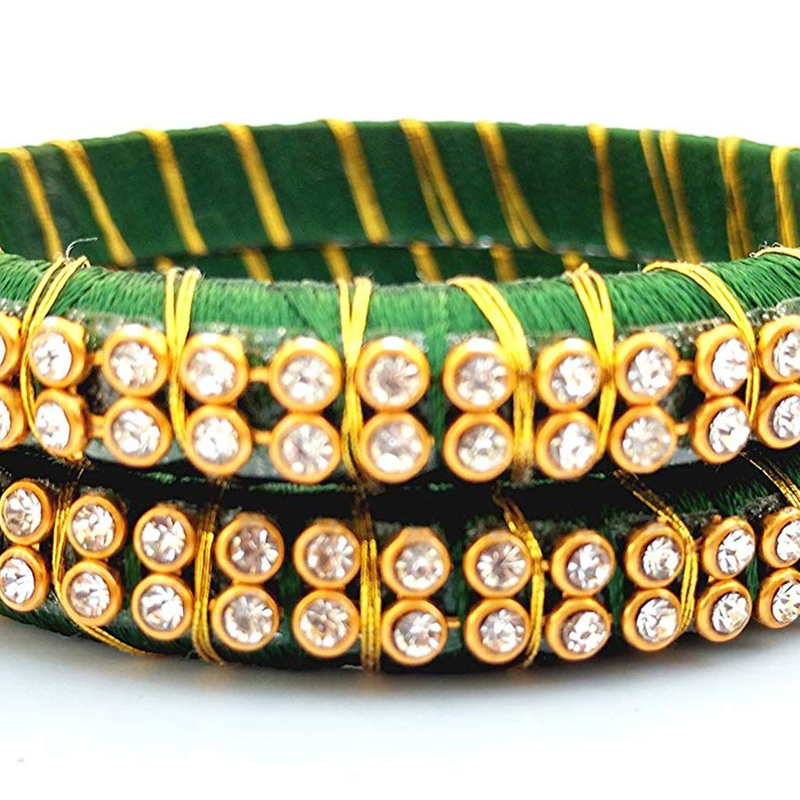 It is made with resham thread and beautified with stone work, pair these up with same or any contrasting colored ethnic attire. 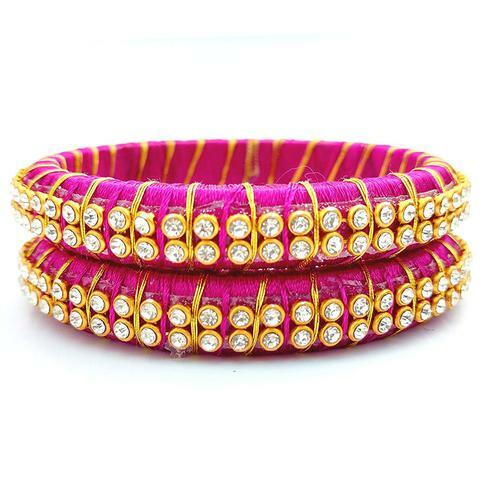 Ideal for festivals, office, casual outing, parties and social get together.